Cedar shakes, siding, and stone blend artfully together on the exterior of this attractive craftsman style home. Inside, a remarkably open floor plan separates the master suite from two family bedrooms for homeowner privacy. Optimizing family togetherness, the common areas of the home are surprisingly open with few interior walls to divide the rooms from one another. A tray ceiling adds definition to the dining room, while the great room is amplified by a cathedral ceiling. A tray ceiling also tops the master bedroom, which enjoys a lovely, private bath with walk-in closet. 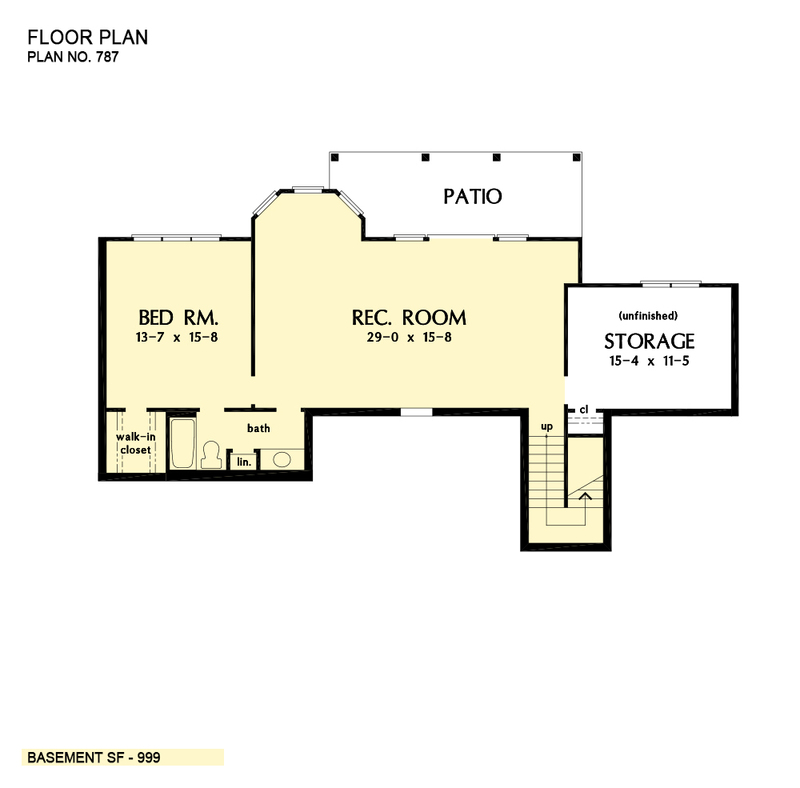 Two family bedrooms share a hall bath on the opposite side of the home, and another bedroom is located downstairs along with a large recreation room and unfinished storage area. 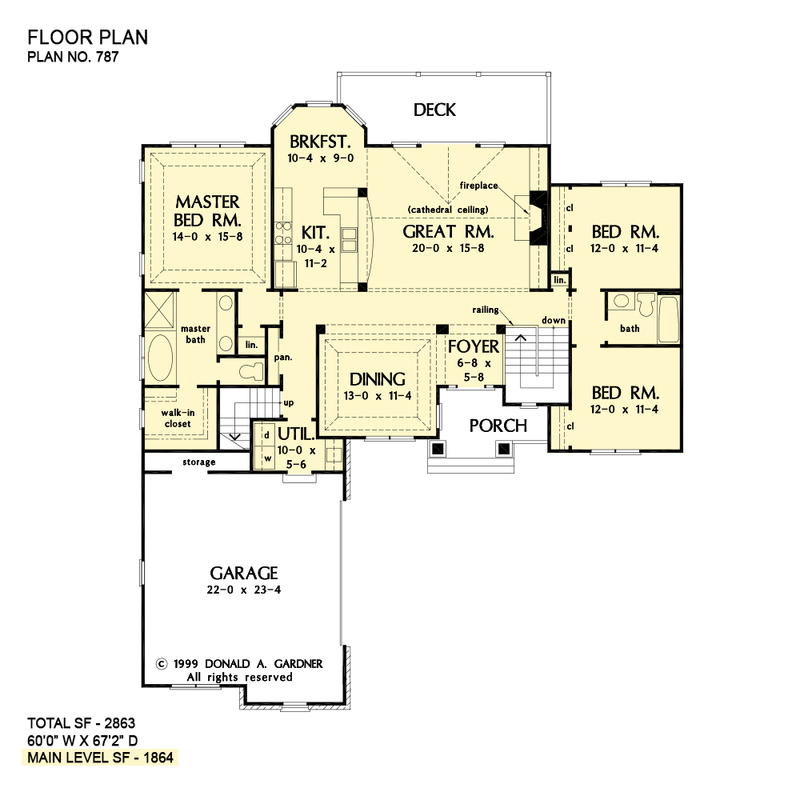 A sizable bonus room above the garage offers more room for storage - or additional living space if finished. 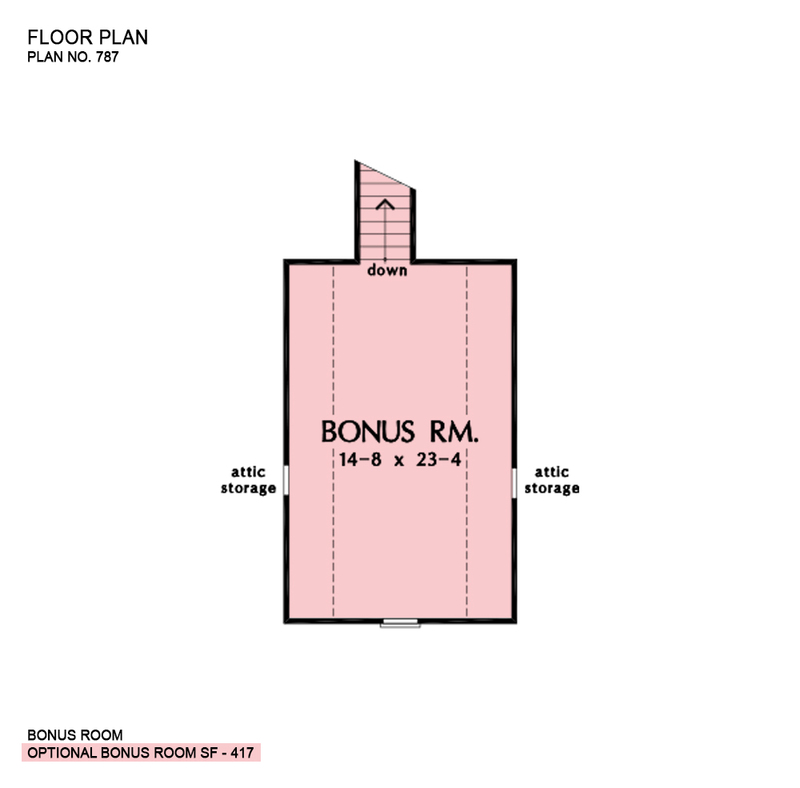 Bonus Room: 417 Sq. Ft.
Other Storage: 213 Sq. Ft.
House Dimensions: 60' 0" x 67' 2"
Great Room: 20' 0" x 15' 8"
Foyer : 6' 8" x 5' 8" x 9' 0"
Great Room (Cathedral): 20' 0" x 15' 8" x 13' 8"
Bedroom #4 : 13' 7" x 15' 8" x 8' 9"
Porch - Front : 12' 0" x 7' 9" x 0' 0"
Deck / Patio : 23' 8" x 8' 0" x 0' 0"
Storage (Other) : 10' 8" x 2' 0" x 0' 0"
Other : 15' 4" x 11' 5" x 0' 0"
Other #2 : 29' 0" x 15' 8" x 8' 9"